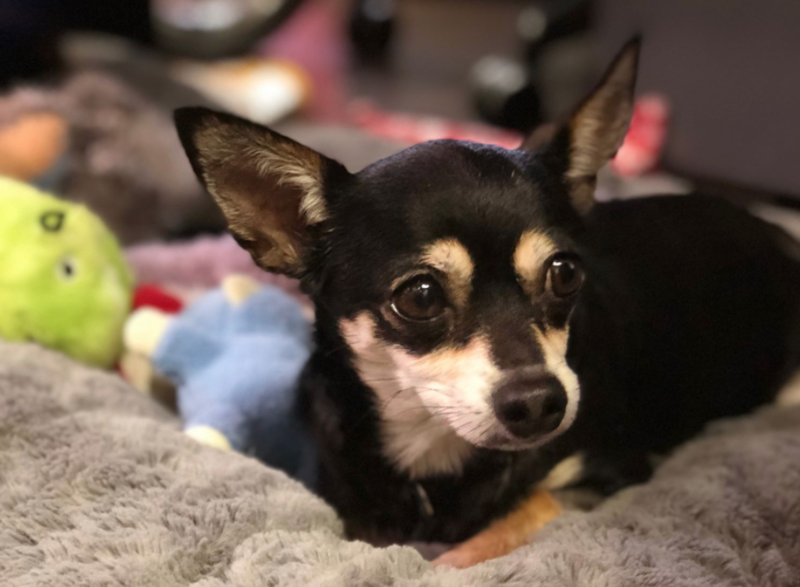 Prince Tybalt aka Lil’ Tibs, is a 4-year-old Chihuahua weighing in at a whopping 7 pounds! He’s a quiet unassuming dog, loves to snuggle and gets along with dogs his size. He loves to be cuddled or in his carrier. He’s a pretty easy going dude. He was surrendered to the shelter and then sent to us so he could start anew! Tybalt likes favour his back left leg, no injury or damage, the faster he goes the happier he is only three legs! He is nervous in the car and is working on not shaking while on the road. He is very quiet but we did see him bark at a blue jay! He’s a reall special easy going dog that just wants to feel like he belongs.